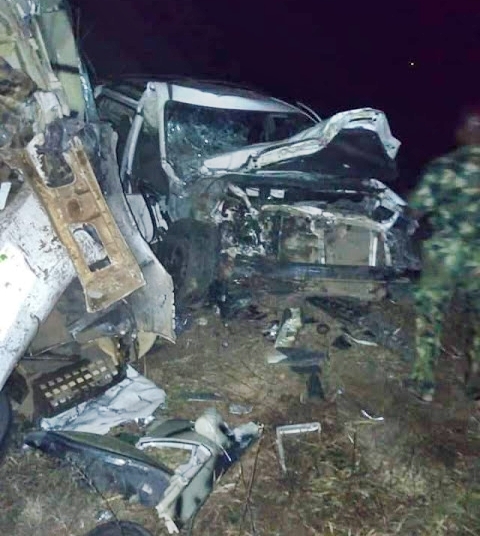 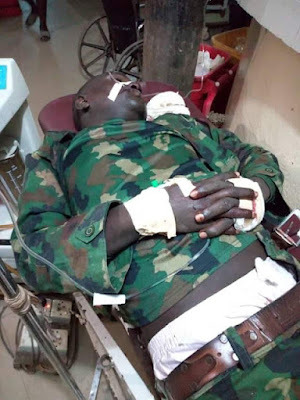 A gallant Nigerian soldier identified as Agudu Samuel, has taken to social media to share photos and the shocking report of how some Nigerians soldiers and civilians were involved in a serious accident in Umuahia, Abia State capital on Thursday. Samuel who is one of the injured soldiers and a Commander with the Nigerian Army, said they are currently receiving treatment at the Federal Medical Center, Umuahia. 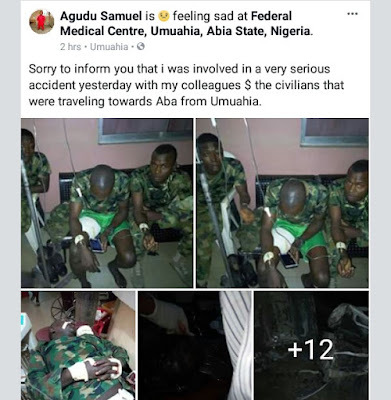 He posted the photos and wrote: "Sorry to inform you that i was involved in a very serious accident yesterday with my colleagues & the civilians that were traveling towards Aba from Umuahia."